If you are not using the latest Skype, you need to update it to keep voice quality. 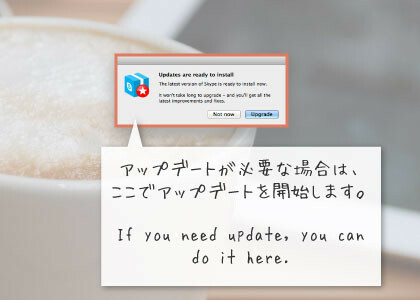 Today, we explain how to update Skype for Mac and Windows. Click “Skype” on the menu bar. You can check the information of your Skype software. If you need to update, the window below will be pop up. 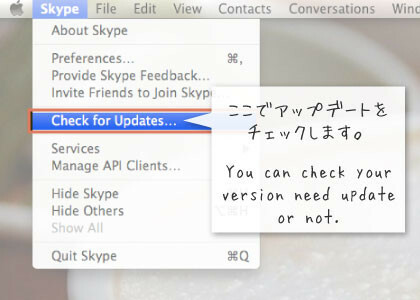 *If your Skype is the latest version, it won’t be shown. 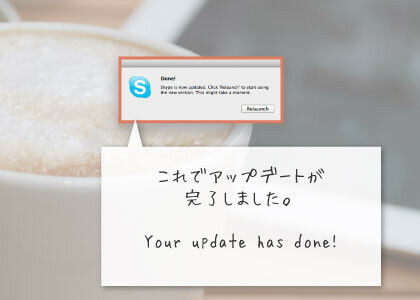 Now, your Skype is the latest version! Click “Help” on the menu bar in Skype. 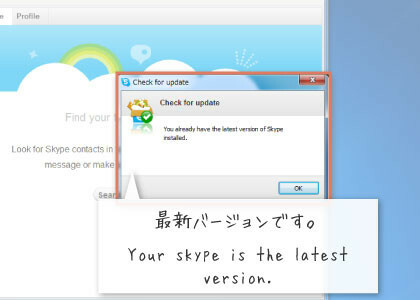 You can check the information of your Skype software. If you need to update, the window below will be shown. In this case, Skype doesn’t need to be updated. If you need to update, you can follow the steps used to update Skype for Mac. 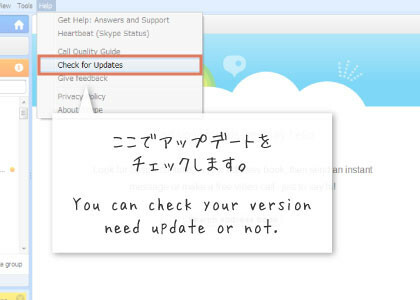 Check your version and keep your Skype updated!